Support the New Hampshire Historical Society while enjoying free admission, discounts, publications, and more. It's the New Hampshire State House's 200th birthday! Explore the history of this iconic building in the latest issue of Historical New Hampshire. 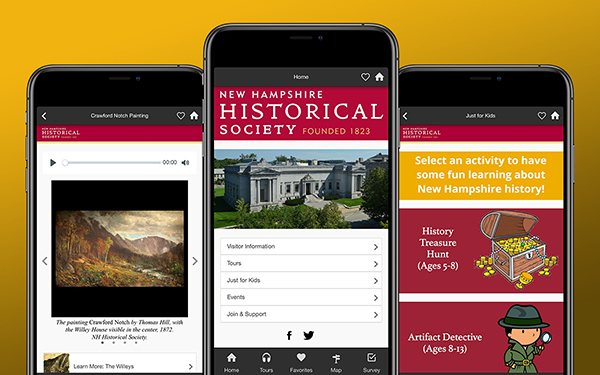 The Society’s school program features a guided tour of the artifact-rich exhibition Discovering New Hampshire and a hands-on activity about how life in New Hampshire has changed over time. Enjoy a guided tour of the New Hampshire Historical Society’s historic Park Street building and exhibitions. See our programs and events calendar for dates and times.